I was privileged to receive an advanced copy of Cruciform Press’ Featured Book for May, “But God…” by Casey Lute. Here is my review. What do you think of when you hear the phase, “but God”? Does your mind go to Romans 5:8 or possibly Ephesians 2:4? In this refreshing read Lute narrows his focus from all of Scripture to nine key uses of the phrase “but God”. These verses include Genesis 8:1, Exodus 13:18, Nehemiah 9:17, Psalm 40:6-8, Romans 5:8, Acts 13:30, 1 Corinthians 1:27, Ephesians 2:4, and 2 Timothy 2:19. 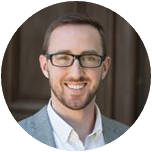 Lute’s survey from Noah, to Paul’s words to Timothy, progressively demonstrate how the occurrences of these two words teach us how God saves, how God provides salvation for His people, and how God applies salvation to His people. In several instances, I had until now missed the significance of these two words. While remaining exegetically faithful to his texts, Lute’s style is not dry and academic. Instead, he writes in a popular and engaging manner, making this book accessible and edifying for Christians at all stages of their walk. At only 107 pages in length this title could easily be read in one or two sittings. However, I’d encourage using it as extended devotional reading, one chapter at a time, allowing yourself the opportunity to chew over, reflect, and give thanks to God for His grace. 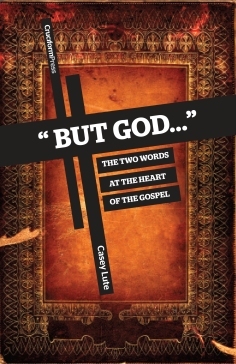 Reading “But God…” by Casey Lute you quickly discover (or rediscover) that “but God” are, as the subtitle states, “the two words at the heart of the Gospel”. If you desire to grow in your appreciation for God’s grace, and how truly amazing the Gospel is, then “But God…” will be most beneficial to you, and a title you’ll no doubt read more than once. “But God…” is very affordable and available in both print and e-book formats. For pricing and purchasing details, please visit Cruciform Press. You can connect with “But God…” on Facebook or download the introduction and a sample chapter for free through Cruciform Press.